Ellis & Estes, Attorneys at Law was founded on a deep commitment to helping injured people. We do this in a variety of ways. We spend lengthy one-on-one time with each of our clients to get to their stories and understand their injuries. These meetings – and our general “open door” policy – not only gives us the opportunity to get to know our clients, it allows our clients to get to know us. Therefore, the attorney-client relationship is based on mutual trust, understanding, and respect. We prepare each case as if it were going to trial, leaving no stone unturned in our investigation and preparation. Even if the case does not go to trial, our extensive preparation allows us to negotiate a settlement from a position of strength, with the other side knowing that we’re willing and able to effectively try the case if negotiations fail. We use our experience and specialized knowledge to make the strongest legal case we can for our clients. Jim Ellis has been practicing law in New Mexico since 1981, with all of those years dedicated to helping injured people. 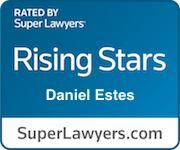 Daniel Estes has been an attorney in New Mexico since 2009, and has been voted by his peers as a Super Lawyers Rising Star in the field of personal injury for 5 of the last 6 years. We are committed to a high standard of personal and professional ethics. We believe in honesty, hard work, and mutual respect. 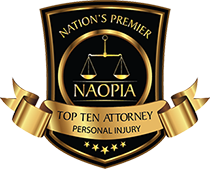 We consider it a privilege to represent injured people and advocate on their behalf, both in and out of court. We take each case, and each client, very seriously and work tirelessly to obtain the highest compensation for our clients. If you or a loved one has been injured because of the negligence or intentional acts of others, please give us a call. We would be honored to hear from you.